Webcast sponsored by the Irving K. Barber Learning Centre and hosted by Richmond Public Library. Dr. Kwok-Chu Lee has been a good friend and strong supporter of Richmond Public Library since 1995. His generosity has ranged from donating books and money to conducting many successful informational seminars and fundraising activities. In 2011, Dr. Lee donated 47,000 Chinese language books. This new donation is described as a “national treasure.” To date, the total value of his cash and book donations exceeds $1.53 million. In this ceremony, Richmond Library honoured Dr. Lee for his generous donation and acknowledged his extraordinary contributions to Richmond Public Library. A reminder that Rare Books and Special Collections, University Archives and the Chung Collection will be closed on Monday September 3 for Labour Day, as will all branches of UBC Library (the Irving K. Barber Learning Centre building is open, but the library functions will be closed). On the subject of Labour Day, you may be interested to know that labour unions and workers’ issues is a strength of the collections here at RBSC. 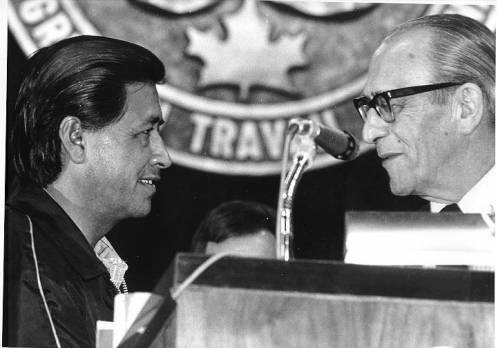 We hold the archival collections of many labour unions from around the province of B.C., including many primary source industries (forestry and woodworking unions, mining, steelworkers, etc) as well as other industries such as public servants and the retail and service sectors. We also have the archival collections of many labour activists and political collections. Find out about exciting developments at the Irving K. Barber Learning Centre in the Summer 2012 issue of Connects. Highlights include updates on community engagement, student learning support, digitization initiatives and more. We also feature a tribute to Dr. Irving K. Barber, whose generous support was vital to the development and construction of the Learning Centre. View the PDF or browse the issue below. 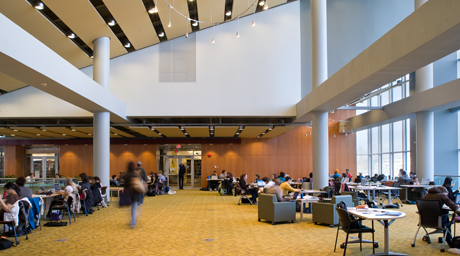 Research libraries across North America are evolving, and UBC Library is no exception. The Library is undergoing significant changes to transform its service models, and has announced a number of changes, some of which will take effect this fall. One change involves the Library’s Robson Square branch, which closes in its current form on August 31. Two of its most accessed services – online access to Library collections and book & articles deliveries – will continue, as will the popular Robson Reading Series. Other services including reference assistance will continue to be available online or at Point Grey campus libraries. 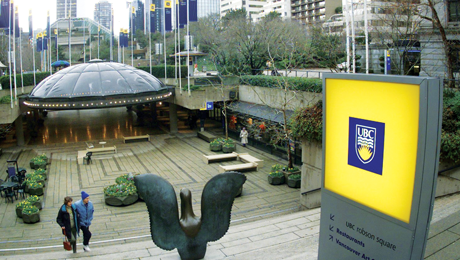 UBC Library would like to thank those who have used Robson Square Library, and we will keep you updated on developments. For more information, please e-mail library.communications@ubc.ca and include “UBC Library changes” in the subject line. UBC IT will be doing maintenance on the wireless network. This will result in a short outage across all wireless networks of approximately 5 minutes duration between 4:00 – 4:30PM. This is to address issues connecting to UBC secure. Please see UBC IT bulletins for the more recent updates. In this tutorial we demonstrate how to fully integrate the Small Business Accelerator (SBA) website into small business research, planning, and reference service. The 5 most common questions posed by small business owners — and future entrepreneurs — will be addressed by demonstrating a variety of online web resources featured on the SBA. Using the SBA, and by consulting with other business service providers such as community development officers or librarians, helps to ensure that BC’s small business community receives the right information needed to successfully launch a new enterprise. The SBA is an initiative of the Irving K. Barber Learning Centre at the University of British Columbia, and aims to works in partnership with libraries and business support agencies from across BC. We encourage feedback and collaboration, and are always open to new ideas and partnerships. You can find the SBA website at http://www.sba-bc.ca or follow us on Twitter @sba_bc. • Laurel Douglas, CEO Women’s Enterprise Centre. Talk included an overview of the small business sector in BC, including some trends and issues. • Norine E Webster, Adjunct Instructor, Faculty of Management – UBC Okanagan. Talk offered practical insights on “Services – 5 tips in effective marketing and delivery of customer services and service products. • Scott Coleman, Co-Founder FunCore Strength and Conditioning. Scott shared practical tips and lessons-learned from his start-up experience. The Irving K. Barber Learning Centre is working to provide a new multi-service desk and upgraded spaces. As a new school year begins, UBC Library is undergoing significant changes to transform into a 21st-century library for faculty, students and the community. As part of this process, the Irving K. Barber Learning Centre is working to provide a new multi-service desk and upgraded spaces for programs offered by the Chapman Learning Commons and its partners. Construction is scheduled to begin in early September and end in December 2012, with new spaces scheduled to open in early January 2013. Changes include the temporary move of Reference services from the third to the fourth floor, and making space in the Qualicum Room for construction. The third floor of the Learning Centre, particularly the Qualicum Room and adjacent areas, will be affected during the fall term as construction proceeds. We are grateful for your understanding and patience during this time, and we will bring you updates at library.ubc.ca as they become available. For more information, please send an e-mail to library.communications@ubc.ca with “UBC Library changes” in the subject line.